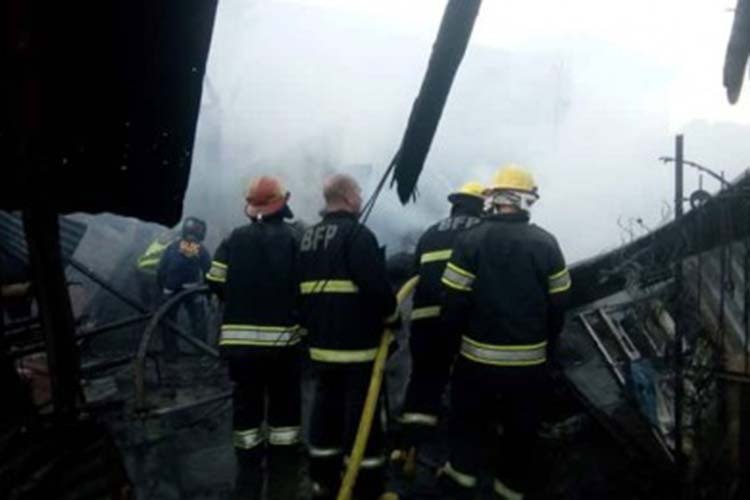 ILOILO CITY — The Bureau of Fire Protection (BFP) in this city reiterated its call for the public to get serious in the fire prevention campaign after an early morning fire in Barangay Bakhaw, Mandurriao here resulted in the death of one person on Tuesday. “Repeatedly, we are saying that we should be serious in this campaign to prevent this kind of incident,” Iloilo City Fire Marshall, Chief Insp. Christopher Regencia, said in a phone interview. The BFP initially pegged the damage at about PHP600,000. The fire, which began at about 5:45 a.m., razed 12 houses and partially damaged three others. Regencia said they suspect that the fire was due to faulty electrical wiring. The fire started at the house of the lone fatality, 43-year-old Chris Vincent Mauricio. Mauricio’s house had no electric meter, only a circuit breaker, because he sourced electricity from his father’s house. “We are looking whether he was asleep or he was cooking,” he said. Based on the testimony of his father and siblings, the victim was intoxicated at about 10 p.m. on Monday, he said. The neighbors also heard loud sounds coming from the victim’s room. It was the second structural fire since Fire Prevention Month kicked off on March 1. Since January, the BFP has recorded 82 fire incidents composed of structural, grass, post, rubbish and miscellaneous vehicular fires. BFP estimated the cost of the various fire incidents at PHP2.94 million. “This is not yet a cause for alarm because most of the incidents were posts and grass fire,” he said, noting that grass fires are intentionally done.